I won't beat around the bush with this review. Bonfire has released a crapper of an album. After two consecutive solid releases in Fuel to The Flames and Strike X, Free is a stunning surprising and drastic fall from glory. This release will leave a lot of long time Bonfire fans such as myself scratching their heads. If you're looking for some top notch, catchy European hard rock, stay far away from this album! Bonfire have made an obvious attempt to change their sound with this album. Okay, I can understand a band's desire no to repeat themselves. However change just for the sake of change is not the way to go. Look at bands such as Rage, Blind Guardian, Riot, and Virgin Steele for example. All the aforementioned bands have been able to handle change very well, releasing many quality albums that don't necessarily resemble one another. My point is this, change can be a great thing, but there are always die hard fans of any band that will defend an abnormally weak album solely in the name of change. Unfortunately, Bonfire has not handled change in a successful manner like the aforementioned bands. This album is weak, and I cannot accept a "quest for change and growth" as an excuse for a poor album. Aside from the fact that Bonfire has incorporated an obvious modern rock influence into their sound, this album just lacks everything that Bonfire can be expected to deliver album after album. First and foremost, this album really lacks energy. All the songs are slow to mid tempo at best, and it just doesn't sound like the guys were very motivated in the studio. On top of that, the usually charismatic and energetic vocal delivery of Clauss Lessman are very laid back, almost lazy at times. The usual abundance of hooks and strong melodies has taken a break on this album. Not one of these songs really jumped on me from the get go. The first track of the album, On and On was an immediate red flag telling me that this album might not be up to par. On and On is a downtuned, modern (grunge rock vibe) rocker that epitomizes the rest of the album: lack of energy, simplistic and repetitive music, and no memorable moments to speak of whatsoever. After several listens, I would actually consider the title track the best track of the album. That's saying a lot since it is a ballad, and only an average ballad by Bonfire standards. As a "modern rock" influence and an overall lack of energy would dictate, the guitar work on this album is much simpler on this album than it has been in the past. There are no flamboyant guitar solos, energetic riffs, or catchy grooves to sink my teeth into. At the end of the album, I just can't understand how the guys could have fallen so far down from their previouis gem of a release, Strike X. Ironically, there are two very cliché songs on this album about wanting to rock. Well, it's too bad that neither song rocks in the least bit. Rock 'n Roll Star is a laid back (dull) modern rock track that features some hideous vocal distortions. Preachers & Whores is another song about wanting to rock. But again, the lack of energy and inability to "rock" combined with the lack of a catchy chorus lines renders this song filler material at best. There's even a very brief rap like drum beat in the middle of this song, which to me isn't very consistent with wanting to rock. By the time I get toward the end of the album, it just sounds like the guys are repeating themselves. It's just more of the same slow to mid tempo modern tinged rock music that lacks the energy or thoughtful songwriting to be of any interest to me. As a result, it's very difficult to differentiate between the songs since the guys stick the same dull formula for just about the entire album. To spread salt on the wound , the album closes with a very generic sounding acoustic ballad that is almost six minutes long. If you are still awake or listening to the album at this point, most of you will hit the eject button at this point. While I feel that the musical direction that Bonfire has taken for this album will alienate longtime fans of the band, the laid back and uneventful songwriting won't exactly reel in new fans. Having said that, I just don't foresee this album doing going things for Bonfire's illustrious career up to this point. As a longtime fan of Bonfire, I hate to deliver the bad news regarding this new release. Style aside, the quality of the songs on this album is not nearly good enough for a veteran band like Bonfire. On the bright side, there are few great bands of any genre that manage to stay active for almost 20 years and release as many albums as Bonfire without mixing a "dud" in their discography somewhere. 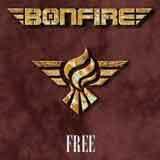 Hopefully this album will turn out to be Bonfire's "dud" album, only to see them return to the top notch melodic hard rock that they do best with the next release.